A chance meeting, a peaceful setting at Sebago Lake in Maine, and a desperate need for relief from an unrelenting grief - all happen in September Love. Derek Holland, who lost his wife and young son in a train crash, and Ingrid Mikkelson, whose husband died of a sudden heart attack, find an immediate connection as their sorrow turns to love. But Ingrid's secret threatens this love. This novella shows how a deep appreciation for life can grow out of a sudden loss of life. Now, these two, who were wounded, treasure each moment of life together. Through death, they have found the true value of life, of love, itself. Whether a couple is engaged to be married, is newly wed, or has been married for years, Christine Adams' Holy Relationships provides helpful reminders and practices for those who understand the importance of placing God at the center of their relationship. The readings emphasize the spiritual edge of intimacy, offering specific guidelines for holy partnering. This inspirational book shows how teachings about Love in A Course in Miracles help the reader to understand that everyone is a Child of God. It explains that it is this awareness that helps us sustain the ongoing process of spiritiual awakening. It claims we can evolve to higher spiritual levels as we experience the power of Love within! Love, Infidelity and Sexual Addiction is an honest sharing of a trust betrayed. This book offers hope and healing to those who have suffered from repeated betrayal. 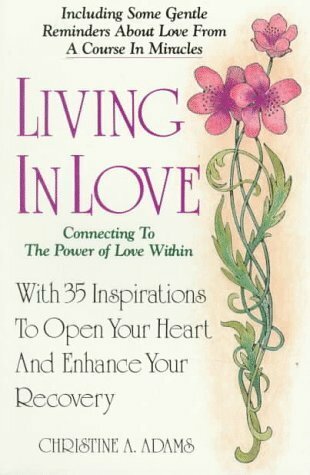 It details a system of spiritual and emotional self-help including chapters defining Sexual Addiction and Coaddiction, The Shame-based Family and The Spiritually Centered Family - Signs of Obsession, Compulsive Behavior, Finding Self, The Solution, A Healthy Relationship, and Forgiveness. A fictional work about the state of our schools! Sold on amazon.com. The School Factory is a narrative non-fiction piece entitled The School Factory. The School Factory presents a frighteningly honest picture of the human and inhuman aspects of a public school system from the insider’s view – the teacher and the many students she comes to know. It’s a story that rarely gets told in its totality, and to my knowledge, has never been told in this format.